The Selsey Arms sells Harveys Sussex, Sharp's Doom Bar and Flowers IPA. It is an informal village pub with wooden floors, exposed brickwork and three fireplaces. One side of the pub has a slightly more restaurant feel. All food is home-cooked. The pub is in a small village but is located on a crossroads that can be busy. The pub has two gardens at front and rear. The attractive rear garden is a bit 'hidden' but is more secluded and away from the road. The pub provides accommodation in four en suite rooms. 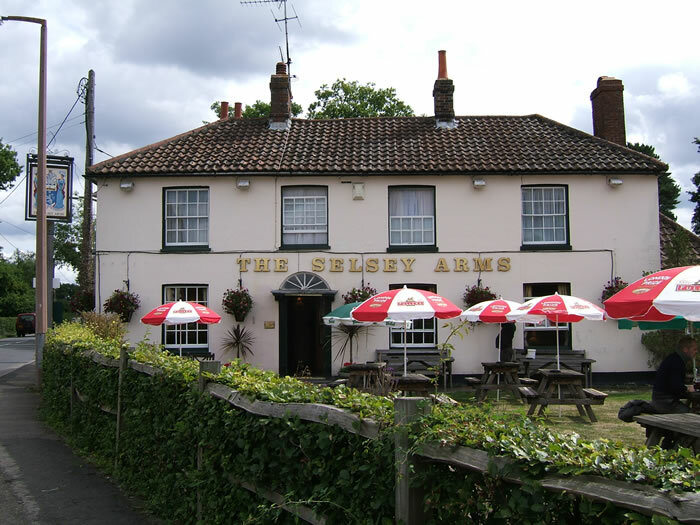 Nearby pubs include the George and Dragon and the Countryman Inn.